An exclusive oasis is where the modern geometric architecture of the luxurious W Dubai The Palm hotel rises, between the Persian Gulf's water and wide private beaches. The innovative wavy shape project includes about a hundred thousand square meters accommodations, of which 300 hotel rooms and 45 luxury super duplex apartments, triplex apartments and attics. It is the first W Escape in the Middle East, located in the west crescent of Palm Jumeirah – an ambitious peninsular establishment made by man – enhancing the urban contrast of Dubai with the natural forms of local landscapes. Multiple entertainment services, sports facilities, spas, private pools and restaurants with international chefs – like the Italian Massimo Bottura and the Japanese Akira Back – enrich the sophisticated atmosphere of United Arab Emirates' new tourist jewel with a gastronomic refinement reserved for the most demanding palates. The challenge of installing air curtains, in this case, it has been represented not only by the architectural geometry of tourist structure – that required an aesthetic need of perfect integration of the air curtains system in the elaborate and sumptuous interior design – but also from environmental conditions determined by the subtropical desert climate. Mostly on the coastal strip extremely hot and damp summers. Airtècnics, as usual, has faced and resolved the challenge, thanks to the combination of the most advanced technologies in the air treatment industry with the versatility of invisible air curtains. 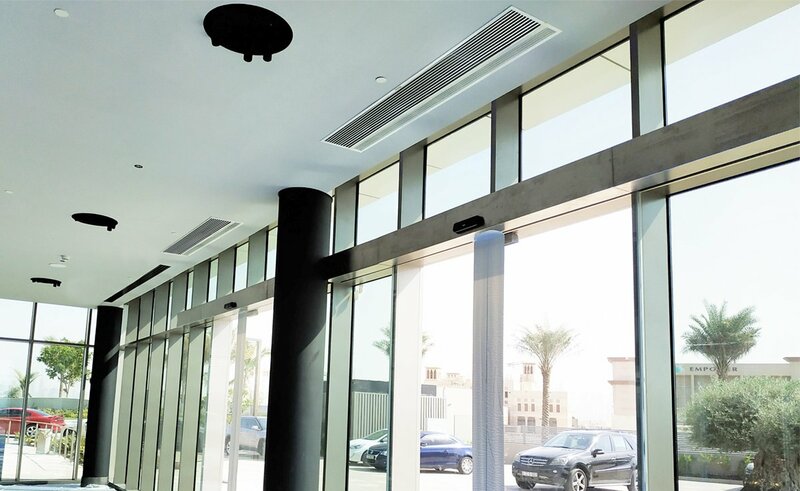 Therefore, they have been selected the 27 Recessed Compact air curtains of different lengths (1000, 1500, 2000 and 2500 models), fixed into the false ceiling to create ideal ventilation conditions – thus obtaining both the comfort of the entrance doors and their protection from external climatic agents. All this, leaving untouched the interior architecture. 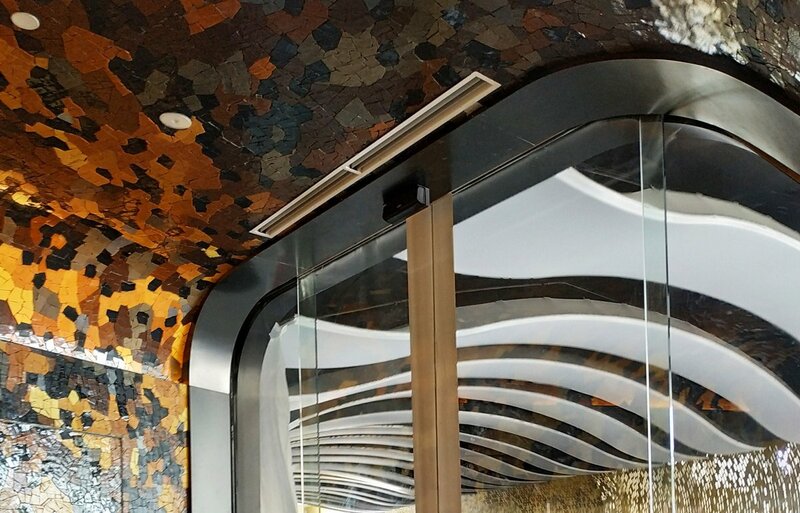 In addition to this, they have been installed 4 Invisair air curtains lending themselves to buildings in which – like the W Dubai The Palm hotel project – it is necessary, for architectural and aesthetic reasons, to position the air curtain's structure into a decorative element. So the only visible element of the installation is the jet air grille. It is an elegant idea for welcoming guests with a vertical, fresh, enjoyable air flow.